Is your class going through pencils like it’s going out of style? Is your supply of Ticonderogas running low? 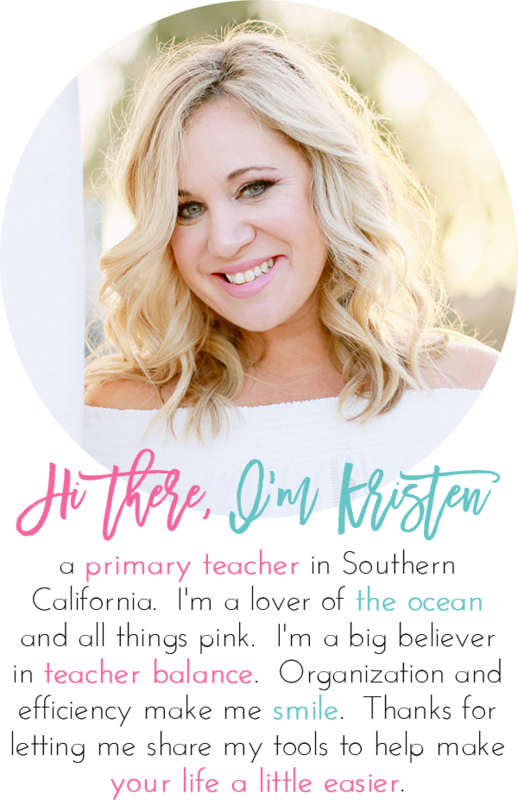 I’ve got a challenge for you and your class that will teach your students to value their materials while saving you money on pencils. 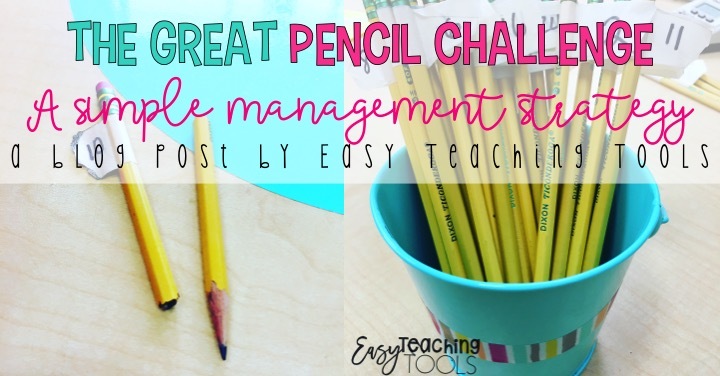 The Great Pencil Challenge has been a life saver in our classroom this year! I’ve always had two containers for pencils, one dull and one sharp. At the end of the day, the 2 students who are in charge of sharpening pencils would do so. Super easy. This system has always worked…until this year with my sweet little group of students. I’ve found that this group is going through so many pencils per week. If they lose their pencil, they just grab another. Break one…no problem, there’s plenty more. Enough was enough. I had to do something because we were running very low on pencils and I was not going to buy anymore. 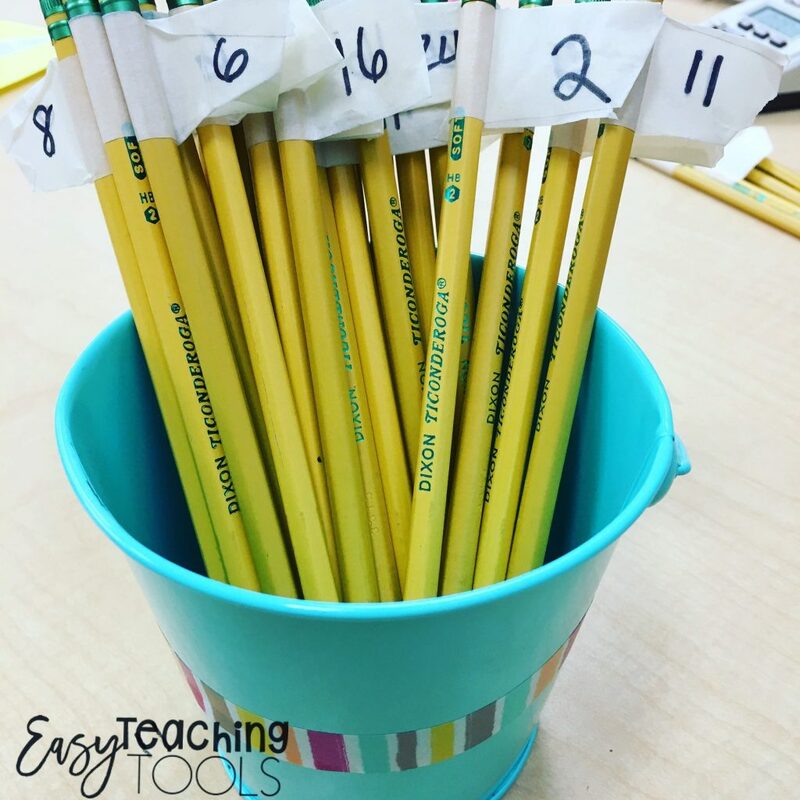 I had a few student helpers attach masking tape to the top of our pencils and number them. I’ve got 24 students so we numbered them from 1-24 and included a few extra because #pencilsmaygetlost. On Monday, all pencils were collected and I hid away our sharpening buckets in the cabinet. My 2nd graders thought I lost my mind! I brought everyone to the carpet and we made this chart together. You can make the chart however you’d like. Disclaimer: We are using classroom money as part of our economy unit. I’m not charging real money because 1) that’s illegal and 2) I’d lost my job! Throughout the day, do a Pencil Check. I literally just say “Pencil Check” and they all hold up their pencils. Super easy! You can even reward a few students with an incentive. Decide how you want to handle dull pencils. I don’t love the option we’re using because I don’t like hearing the pencil sharpener during class time. But, we currently have students give their pencil to the pencil sharpener job-person and she’ll go sharpen it as long as it’s not during direct instruction. Reward students who still have a working pencil at the end of the day or the end of the week. It happens. 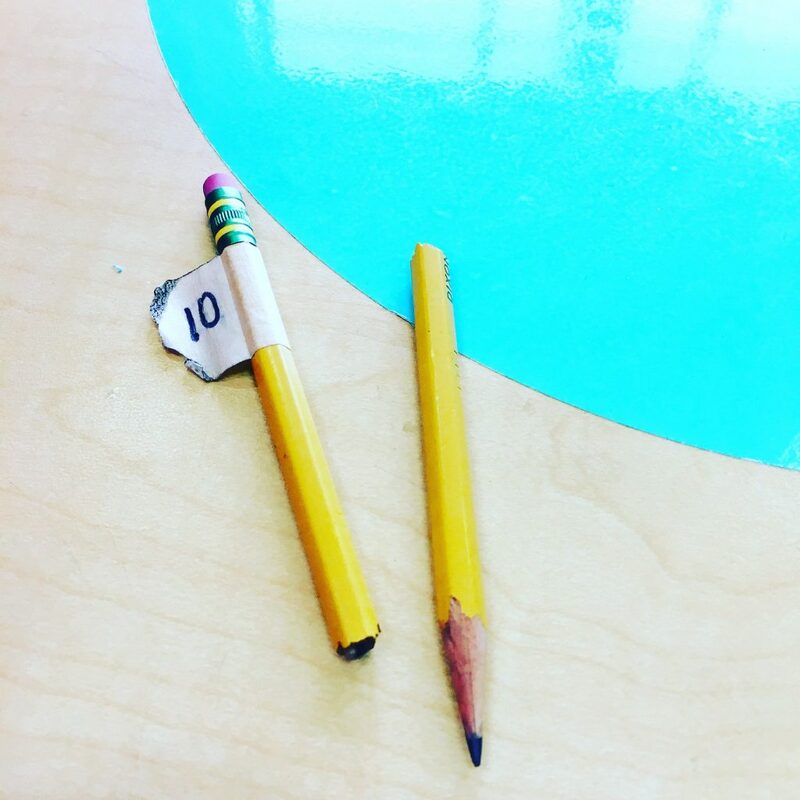 One of my little friends broke his pencil on the 2nd day of the Great Pencil Challenge! Said friend thought it would be a fabulous idea to hold his pencil perpendicular against his desk and lean really hard against it. #goodbyepencil I had to be consistent and use this little guy as an example for the rest of the class. 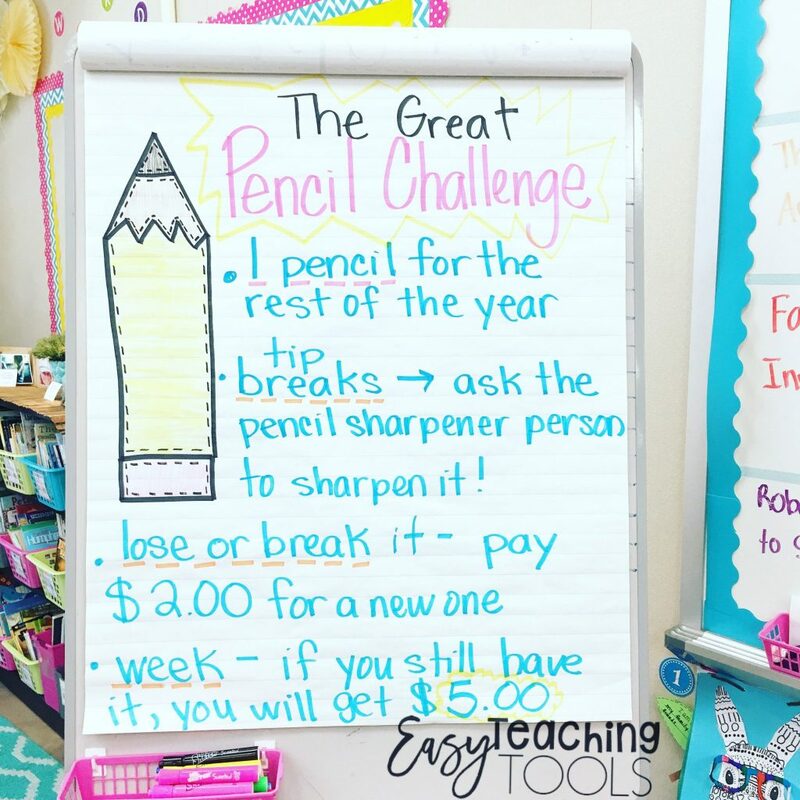 I’m proud to say we’re about to start our 4th week of the Great Pencil Challenge and we haven’t had any broken ones since. Try it in your classroom! I’ve got everything you need here to set it up! 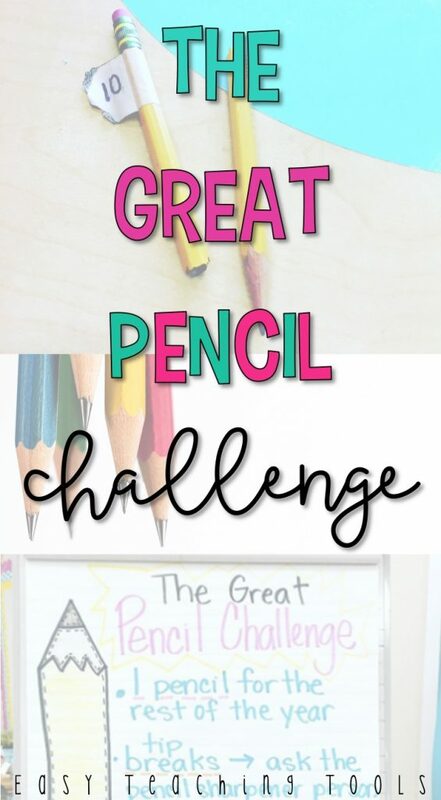 Want to see the Great Pencil Challenge in action? You can in my live video! Do you think a solution to a dull pencil would be to give each kiddo 2 pencils at the start of the day with their number? Do you collect them at the end of the day? At the end of the day, if students have a dull pencil, they put it in the dull pencil cup and the students in charge of sharpening pencils sharpened them at the end of the day. In the morning, students come grab their pencils. How do you deal with situations where other students use your room at night and steal pencils? I would definitely talk to the person in charge of those students. Or, start putting your pencils in a safe place every day. Sorry that’s happening! Just curious, you mentioned using money as a part of your economics unit. Would you mind sharing how you are doing that?